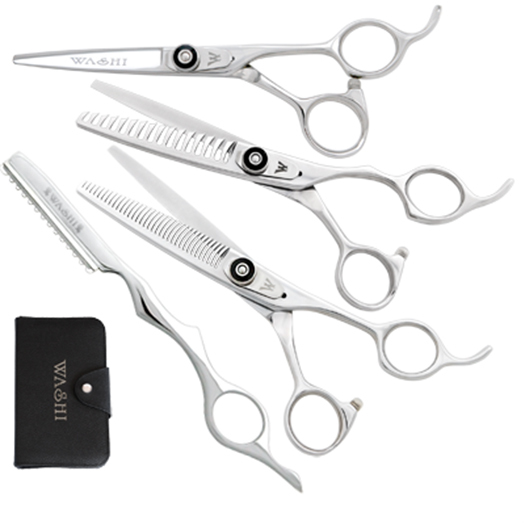 Launch your career in hair cutting with quality shears. This shear set is an affordable start-up option and will give you years of reliable performance. Includes a texture razor, carrying case and finger ring inserts for a perfect fit. Includes a 5.5 or 6.0 cutting shear, 35-tooth thinning shear, and a 14-tooth texture shear.